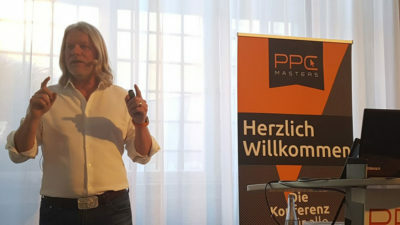 On Thursday 2/16 I was in Berlin attending to PPC Masters, the largest vertical conference about Pay Per Click in Germany (www.ppcmasters.de). This 4th edition has been animated by around 270 participants and 16 speakers coming mainly from Germany, but also from Check Republic, India, Italy, Norway (or USA, depending if you consider birthplace or professional choices), Poland and UK. Here is a little recap of the main concepts shared by the international speakers (in order of appearance on the stage). I personally use scripts quite rarely, because I am perfectly able to mess up things in AdWords manually 😉 But I have to admit that this is mostly for my personal ignorance. Not being a developer myself, I would have to rely on someone else to create them (and to correct them every time Google changes something, and therefore, quite frequently). 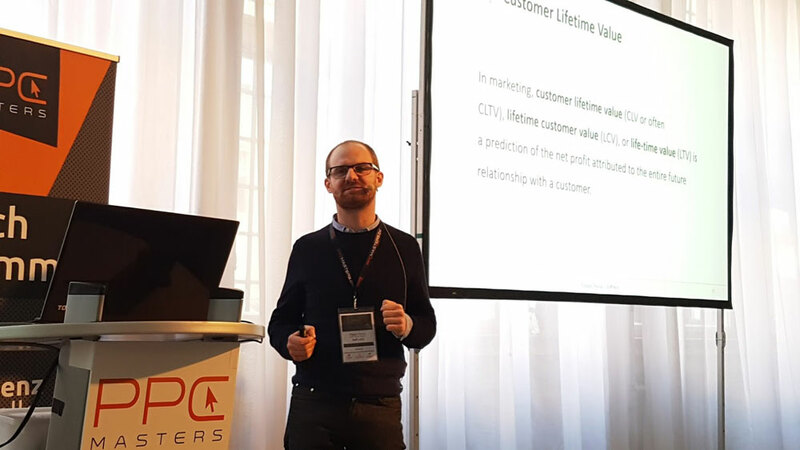 But today at PPCMasters I had an overview of how they could be powerful thanks to Jakub Kašparů of Lynt (Check Republic). 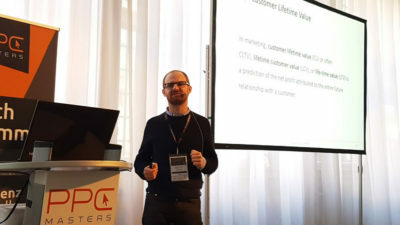 He showed us an e-commerce customers dashboard (https://ppc-scripts.eu/masters/1) or a keywords optimization report (https://ppc-scripts.eu/masters/3). Mobile phones are the fastest growing communication media in the history of mankind. They are literally changing the way we interact with each other and navigate online (in May 2016 Google recorded that over 20% of Android devices searches were voice searches and 30% of them are location related). 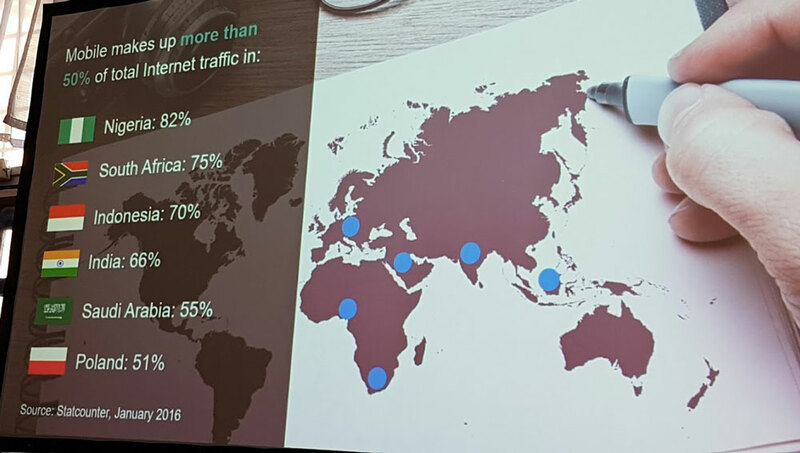 In the above image you can see countries with more than 50% of internet traffic generated by mobile devices (Nigeria, South Africa, Indonesia, India, Saudi Arabia and, yes, Poland). AdWords is answering to that growth with a series of innovation designed to better target mobile users: Local Search Campaigns (still in beta, integrating ads seamlessly in the map experience), Local Inventory Ads (saying users where to physically find products they are searching for), Call only campaigns, Expanded Text Ads, Universal App Campaigns, device modifiers used together with customer match and remarketing lists. Hannah from Greenlight (UK) explored in her speech the main peculiarities of all these options. 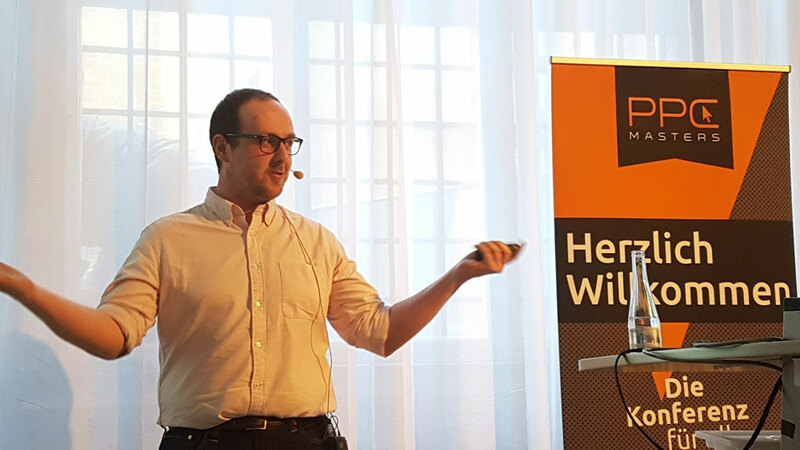 Remarketing in AdWords is a powerful instrument and it is even stronger if you use lists from Google Analytics, mainly because you can define them using all segmenting functionalities. You can even use dynamic remarketing (making your users to see in ads the same products they just saw on your site). 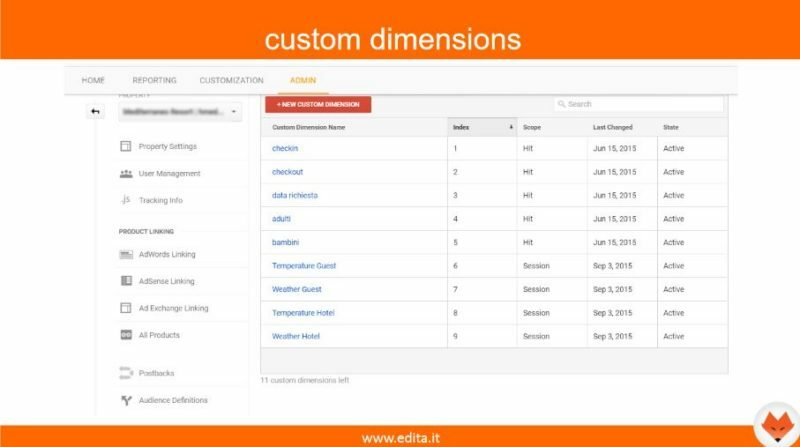 To do that you only have to create a custom dimension at hit level named after AdWords variables and to change the tag running on the site. After that you will be able to create an audience as easily as creating a segment (that is just 1 click after having isolated the users you want to track) and you will have also several powerful functions you simply cannot have otherwise in AdWords: you could exclude bounced users (with great precision, if you implement modified bounce rates) and track specific clusters of registered users (if you pass these custom variables to Analytics). Presently the only limitations implied by the use of Analytics remarketing tag are cross-device and view-through conversions tracking. 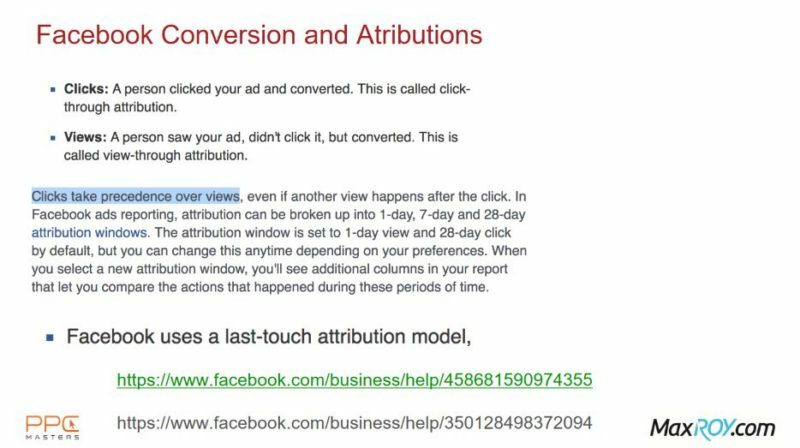 B) if you look at remarketing campaigns evaluating them only with last click attribution model you will often consider them huge failures. Using Analytics custom dimensions you can build more granular remarketing lists to reach higher Click Through Rates by showing ads that will best meet the needs of users. For instance you can scrape weather data from open airports’ data bases and add them to Analytics custom dimensions to spot weather related buyers and show them your ads only when they are more likely to convert. Or you can add some variables regarding the type of offers the user was interested in to show them only that kind of promotion and so on. targeting possibilities are of course limited only by fantasy (and data available ;-). One of the most evident problems when you manage a ppc campaign is the complexity of the platform. Programmatic approach implies to match several piece of information and use an algorithmic optimization to combine them to increase results. Incoming factors are potentially infinite. Among them Bjorn identified as the most relevant: matching types, quality scores, devices used, past visits of the same user and converting items (considered using a personalized attribution model). All this data could be combined to algorithmically boost performances as Bjorn’s startup (Finch) is presently doing. 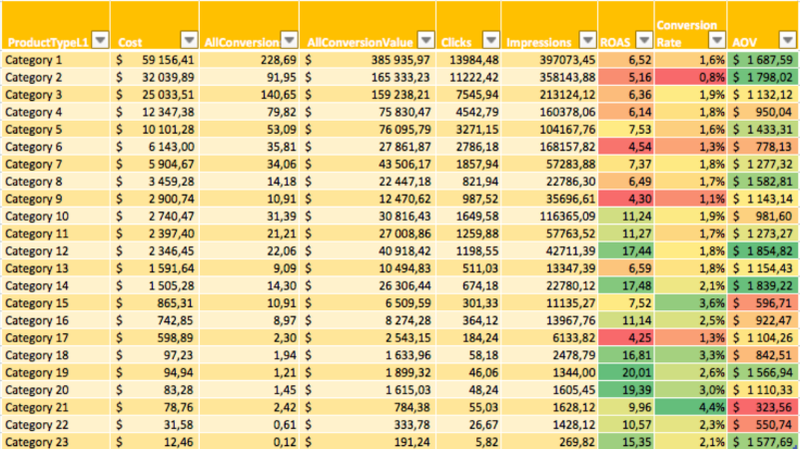 Google Display Network is probably the most powerful, and neglected AdWords channel. It is very frequently mixed in search campaigns with a subsidiary role, lacking of specific ads variants (including the most recent responsive ones) and left going with no control over placements (both in sites and apps). Even remarketing (which is expected to run also on Gmail Sponsored Promotions in the next few months) is often limited to default lists and left without responsive ads, while, instead, it could be much more effective if pointed to users who abandoned charts with high value items, or who were deeply interested in the site (long time on site + several pages viewed), or, at least targeted using Google’s own automatic smart lists. Especially dynamic remarketing is quite underused beyond its natural application on ecommerce products (it is presently available also for flights, education & courses, hotels, jobs search and properties). 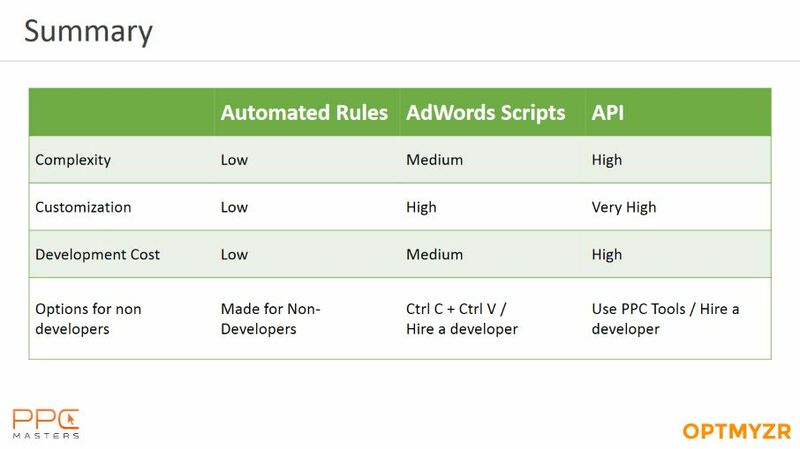 There are several different ways to automate an AdWords account. The most simple to set and manage are the automated rules, a good example of interesting automatic optimizations could be pausing keywords with low QS or over certain expenditure threshold without conversions. On the maximum stage of complexity (and functionalities) there are API solutions, which are simply bypassing the regular AdWords user interface, but capable of managing all its functions. We as ppc marketer should all move from last click attribution model to something more sophisticated. We should compete for customer engagement, not for clicks. Let 2017 be the “beyond the click year”. Under the classical approach display and video campaigns usually seem to have really limited results in driving conversions. But if you separate branded terms campaigns in a different account and start to consider more carefully view-through conversions (using native conversion tags from AdWords and Facebook) you will have a much more precise vision of the impact of your display campaigns on branded searches (brand lift). Here You can find Tomasz’s slides. PPC Masters confirms to be one of the main events in Europe to follow for Pay Per Click industry addicts, together with ADworld Experience (Bologna) and Heroconf (London). And this is not only for the number of participants, but for quality of speakers and topic considered. Even if I didn’t agree on many suggested strategies and approaches I had several occasions to appreciate the competence of professionals involved both on the stage and among participants.